Lunch options will include fried oysters and a fried chicken sandwich. 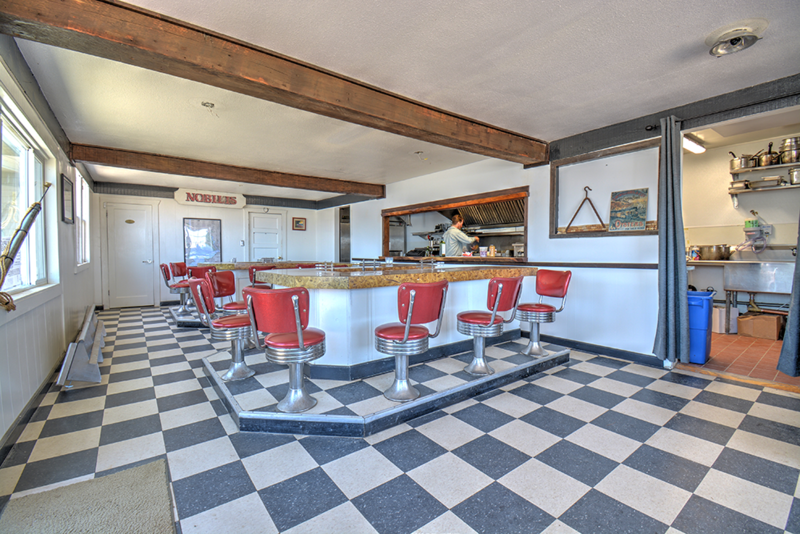 The updated diner used to be the historic Galley Cafe. One evening, chef Todd Corboy and co-owner Yaella Frankel were brainstorming what to call their restaurant when a sign appeared — specifically, the signage of an old fishing vessel called Nobilis that had ended up inside the derelict diner, nearly obscured by ham radio equipment. “It means ‘rising to nobility in your lifetime,’” revealed Frankel. “Perfect.” Nobilis Restaurant, the newly revamped, renewed, re-everything eatery, will open July 7 at San Pablo Bay Harbor in Richmond’s Point Molate, in what used to be the historic Galley Cafe. Its tagline, “Finer Diner,” is Corboy’s inspiration. Formerly of San Francisco’s Delfina Restaurant Group as well as 20 Spot, Corboy is young, well traveled, and dedicated to creating a restaurant with a casual, convivial vibe, which at the same time features “the best, most flavorful, healthiest ingredients that I can get,” he said. These will be locally sourced as much as possible. Meats are coming from Richmond’s Golden Gate Meats, seafood from San Francisco’s Water2Table Fish Co., produce from nearby farmers’ markets, and coffee from Richmond’s Catahoula Coffee Company. When Nobilis gets its beer and wine license, likely by opening, beer choices will come from top Richmond brewers Benoit Casper and East Brother. At first, Nobilis (1900 Stenmark Dr.) will be open only daylight hours: lunch from 11 a.m. to 3 p.m. Wednesday through Friday and brunch from 9 a.m. to 3 p.m. on weekends. This is probably an excellent decision for first-time travelers on the narrow, windy road that leads to the harbor off the 580 Freeway. Both lunch and brunch will riff on “diner concept” menus, said Corboy, but this is far from the fisherman’s greasy spoon given Corboy’s fine dining background. 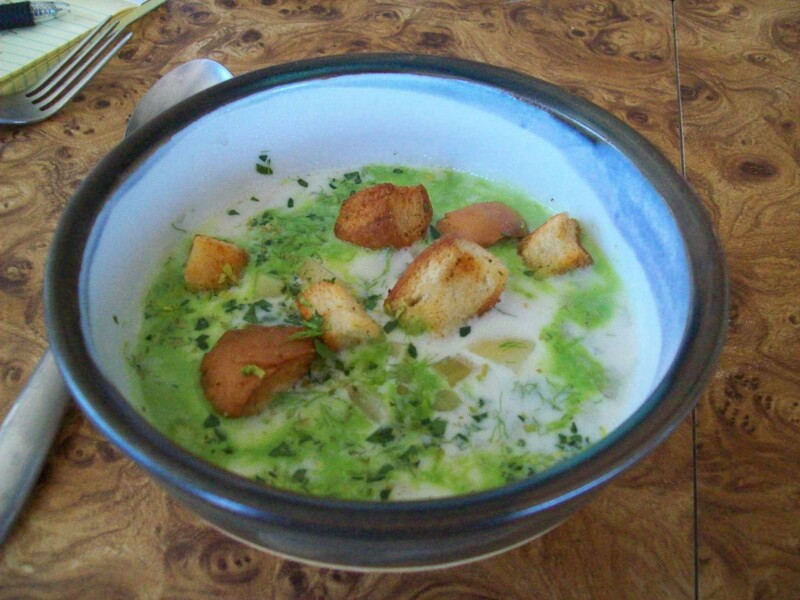 The clam chowder is enlivened with parsley oil. Lunch options include fried oysters dredged in cornmeal flour, served with charred fennel tartar sauce and sea beans ($9); a fried chicken sandwich with picked red onion and Little Gem lettuce on a house-made spiced potato bun ($12); and the “Har-Burger,” made from meat blended to order for Nobilis by Golden Gate Meats, on a potato bun with caramelized onions, aioli, “pickled things,” and fontina cheese ($12). The cosmic North Coast Clam Chowder ($6), with clams, milk, fennel, potato, and house-made parsley oil, might alone be worth a visit. Corboy will include seasonal specials, like a stone fruit salad with arugula, shaved cucumber, and za’atar-spiced yogurt, and roasted summer squash with whipped ricotta and pistachios. Then there’s brunch, featuring biscuits with house-made jam or sausage gravy, a baked egg dish, house-made granola, pancakes and fried chicken (“Our version of chicken-and waffles”), “Breakfast Swine” incarnations of bacon, and, naturally, mimosas.